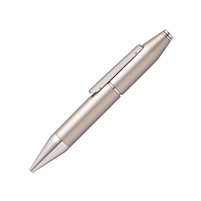 For those that want to have a little fun while getting down to business, this capless rollerball pen combines performance and practicality with play-ability. Just slide it open, unleash your thoughts, and then snap it shut. Slide open. Snap shut. You won’t be able to resist the temptation to play with the new Cross® Edge.